Starting with iOS 11, Apple included a way to quickly disable Touch ID and Face ID on iOS. 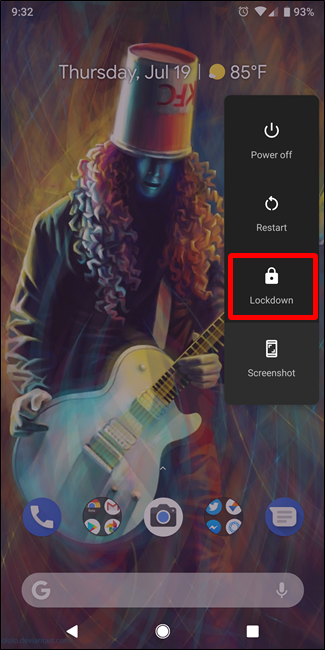 With Android P, Google is introducing a feature named “Lockdown Mode” that essentially does the same thing. 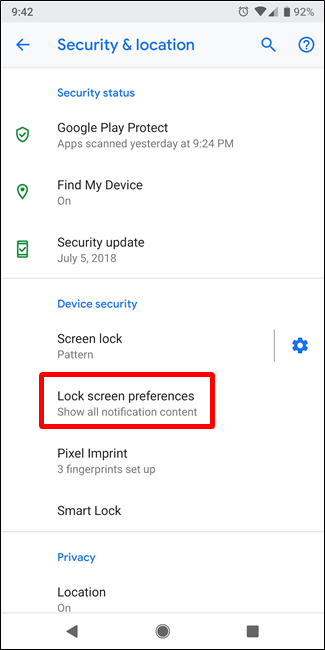 Android P’s Lockdown Mode will disable all biometric and Smart Lock features, as well as all lock screen notifications. This is a sort of failsafe phone setting that you can enable when your need additional security. For example, law enforcement can’t force you to unlock your phone with a PIN, password, or pattern, but it can force you to use biometrics to unlock the device. 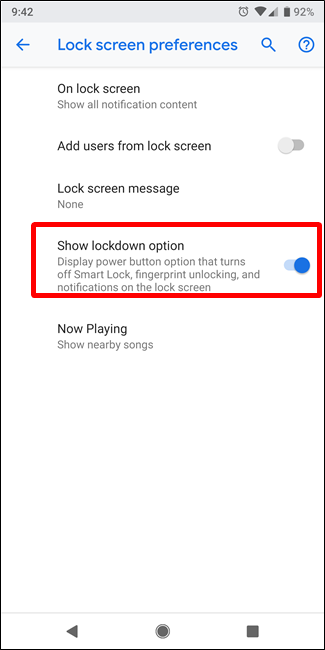 If you ever find yourself in a potential situation where you could be asked to unlock your phone and want to execute your right to refuse, Lockdown Mode is necessary. 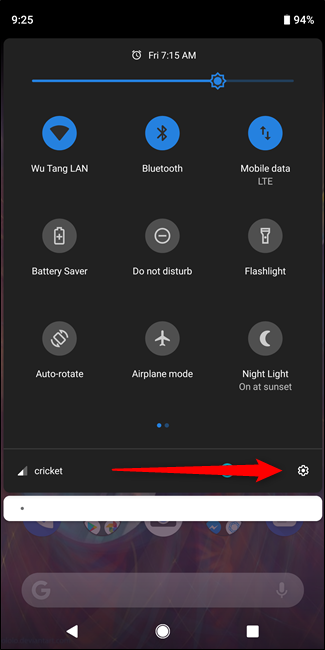 Lockdown Mode is disabled by default, so you’ll first need to enable it before you can use it. 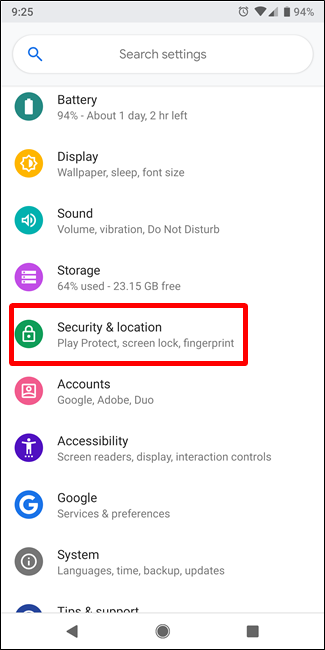 To do this, jump into the Settings menu, then tap the “Security & Location” option. On the Security & Location page, tap the “Lock Screen Preferences” setting. On the next page, turn on the “Show Lockdown” toggle. 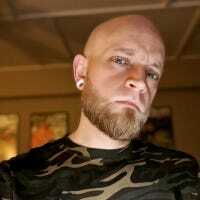 Bam, you’re there. The feature is now on. Just enabling the feature doesn’t turn Lockdown Mode on, of course—this just enables the feature that allows you to turn it on when you need to. To use Lockdown Mode, hold the power button like you’re going to shut the phone down. Amidst the typical Power Off, Restart, and Screenshot options, you’ll see a new entry: Lockdown. Tapping this will instantly disable the fingerprint reader, as well as any Smart Lock features you may have enabled. 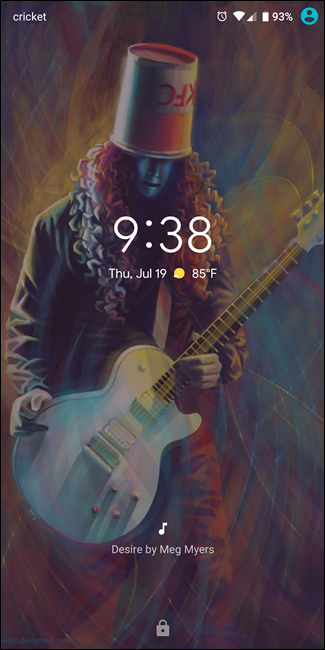 It also hides all notifications on the lock screen, which is an exceptionally nice touch should you find yourself in a situation where notifications could be damning. To unlock the phone again, you’ll need to enter your PIN, password, or pattern. Once unlocked, however, be aware that Lockdown Mode will be turned off. You’ll need to hit the power button and turn it back on every time you need it.